Today I wanted to share what you can find by visiting CollegeMeasures.org. Obviously first-year salaries won’t always reflect what grads will receive later in their careers, but it’s a start. One of the reasons why I’m excited about having this salary data available is that it will force many schools to get serious about helping students not only prepare to be successful in the job world, but also give them the tools to conduct a successful career hunt. Right now many school career services offices are a joke. On College Measure’s home page, click on the icon for two-or four-year schools. In this example, I’m going to check out the four-year college data tool. You can click on each category at the top of the scorecard to retrieve the definition of each one. 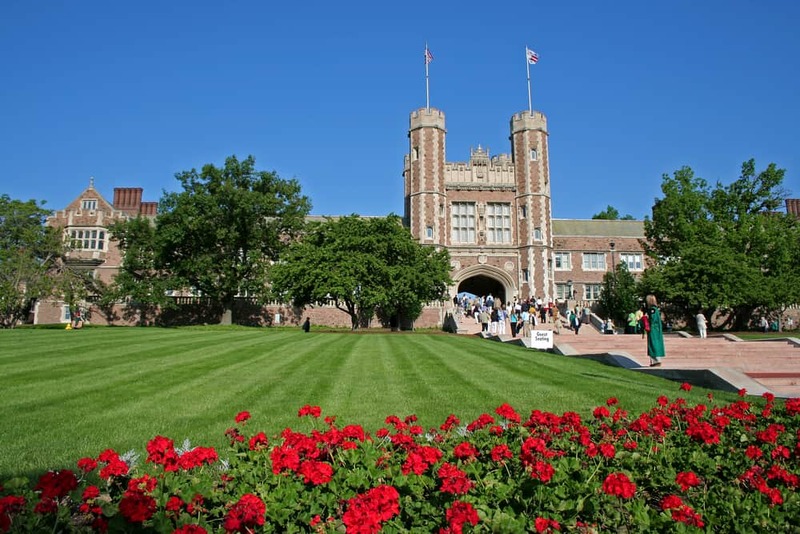 Now let’s look at the University of Missouri, St. Louis, which is located two blocks from where I grew up. I attended UMSL for two years before I transferred to the School of Journalism at the University of Missouri in Columbia after I discovered through a mentor at UMSL that I wanted to be a journalist. I will always be grateful for my experiences at UMSL. 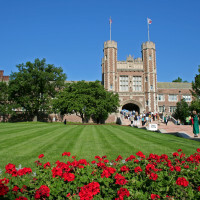 UMSL, which is a less selective regional state university, is representative of the institutions where roughly 80% of the country’s college students attend. 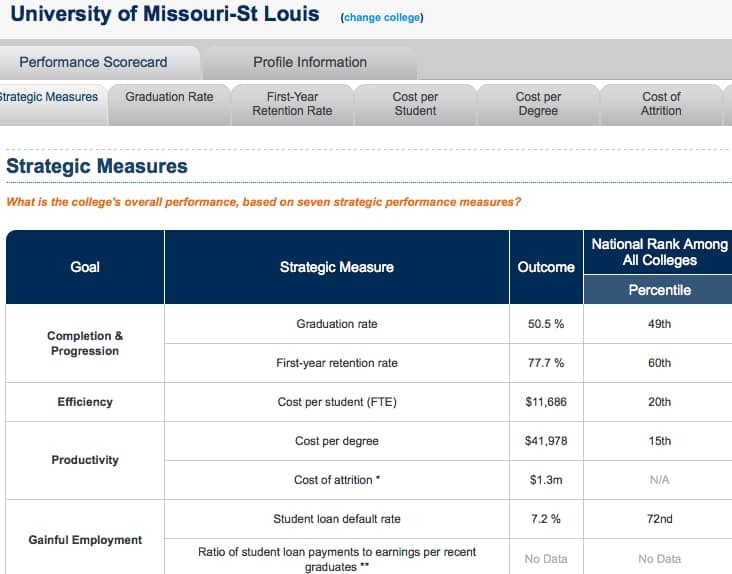 No surprise, UMSL’s numbers aren’t as good. 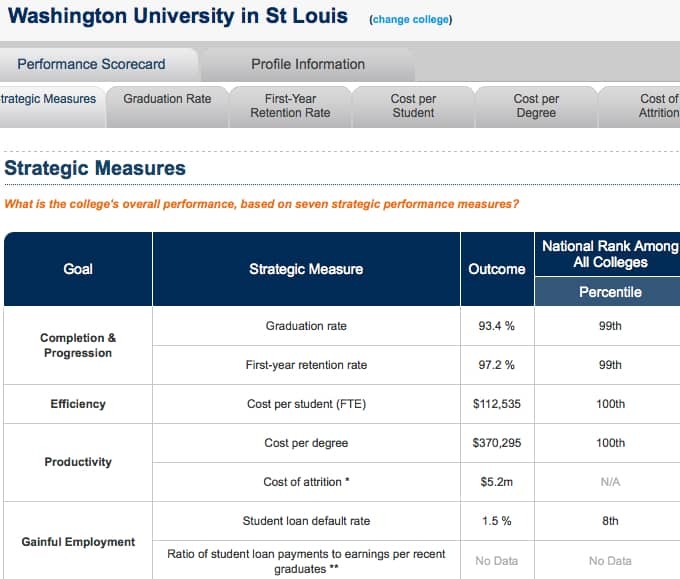 The school is above average among other state schools in terms of graduation and retention rates (you can’t see that column in this screen shot because it wouldn’t fit), but the money it devotes to its educational mission is below average. College costs too much to be selecting schools without doing research. College Measures is an excellent resource to help make your task a little easier. I’ll share more about how you can use College Measures in the future. Although the numbers are interesting, the salary numbers don’t tell you much. Take the statewide numbers for Tennessee, for example. It shows that people with “awards” (I assume mean this means “certificates”) of 1 to 2 years make more than associates degree holders who make more than bachelor degree holders. All the studies show that over a lifetime, bachelor degree holders make more than those with less education. I agree about salary numbers being hard to use. Here in NC, I remember seeing something a few years ago about the best things to major in at the state schools based on salary of past grads. One of the top majors was Cultural Geography. The statistics were skewed by some guy named Michael Jordan (and yes, he did actually complete his degree program and graduate). Another issue is changing technology; some of the best majors for today were not available a few years ago. My main concern is that these rankings do indeed fuel increasing college costs. It does make a lot of sense to look at more meaningful numbers, such as first year salary.